The epitome of diversity, South Africa takes you on an exciting journey through its many guises. If you think you know this amazing destination, think again. South Africa has a huge variety of exciting things to see and do. For adrenaline junkies there are plenty of exhilarating activities to make you scream! For those who just want to kick back and relax on a beautiful beach there is an abundance to choose from. Or for sightseeing take your pick from vineyards, to incredible wildlife and breathtaking views. South Africa has so many fantastic things to see and do. Read on for our top 10 things to do in South Africa. A hot air balloon safari has to be one of the best ways to take in the South African landscape. Watch in awe as the sunrises over the game reserves and the wildlife awakens below you. Surrounded by serene silence you can take in the stunning scenery from this unique vantage point. There are many tour companies who provide balloon safaris; the best trips operate from Johannesburg, Pilanesberg National Park and Kruger National Park. Fishing is a very popular sport in South Africa. Mako Sharks, Marlin, Tuna, King Fish, Dorado and Swordfish are just a few of the species you could catch on a boat trip here. October to December is the best time of year for game fishing as the waters are warmer. For sea fishing Cape Town is a top place to go from, as the waters around Cape Point are renowned for big game fishing. With Tuna reaching up to 100kg in weight it could be an exciting day out. Chill out for the day on one of South Africa’s sun drenched beaches. Llandudno Beach in Cape Town is good for surfing and named after Llandudno in Wales. With a mountainous backdrop it is perfect for sunbathing. The views of Lion’s Head and Twelve Apostles from Camps Bay Beach make it picture perfect and a good place to base yourself to watch the sunset. The area is known for having a good nightlife so you can head for sundowners when you have caught enough sun. Situated within Table Mountain National Park is Boulders Beach there is a small entrance fee to access it, but it’s worth it to see the penguin colony that live here. Huge granite boulders create sheltered inlets and these lovely creatures can be seen wondering freely along the beach. Head to the St Lucia estuary for a boat cruise with a difference. Watch out for hippos wallowing in the waterways and Nile crocodiles basking in their natural habitat. Hippos are one of the most dangerous animals in Africa and spend most of their time in the water; hippopotamus actually means ‘river horse’ in ancient Greek. St Lucia is on the east coast and the estuary is home to around 800 hippos and over 1,000 crocs so you are bound to spot quite a few on this awesome trip. Don’t forget your camera! 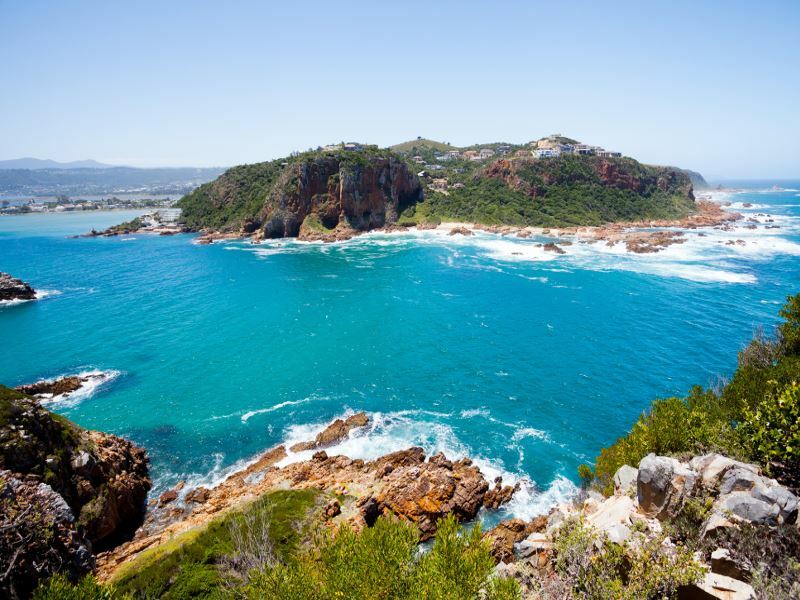 Take a road trip along the scenic Garden Route, found on the south-eastern coast between Mossel Bay and Port Elizabeth. Glorious stretches of coastline, mountains, forests, lakes and lagoons can all be spotted on this popular tourist route. It encompasses ten nature reserves and there are all sorts of activities to do along the way, from whale watching, hiking and sea kayaking to paragliding and wine tasting. Driving means you can explore this beautiful part of the country at your own pace and create your own adventures as you go. Marvel at beautiful Cape Town from a dizzying height on the Table Mountain Aerial Cableway, a brilliant gondola that swiftly rises up to the top of the Table Mountain for amazing views. With a floor that rotates, you’ll discover incredible 360 degree views as you travel – and with the whole trip only taking around five minutes to reach the top, you no longer have to hike and trek to get to the top. Described as a must-do in Cape Town, we’re certain you’ll never forget this wonderful trip. Not many people can say that they’ve ridden an ostrich! Oudtshoorn has the largest population of ostriches in the world and as a result there are many ostrich farms in this area. Ostriches were originally farmed for their feathers back in the 1800s. Today many farms still specialise in ostrich breeding and are also open to the public. Learn about these very inquisitive birds and find out how they are reared. Many of the farms allow you to hand feed an ostrich too. Riding on an ostrich is the highlight of the day, although there is a weight limit of around 70kg. You can also stand on ostrich eggs, as believe it or not they are extremely resilient and strong enough to withstand human weight! Head north...Bordering Zambia and Zimbabwe, watch in wonder as the Zambezi River crashes spectacularly down the falls. Standing at 108 meters in height it is the largest waterfall in the world. One way to see the wonder of the falls in all its glory is by taking a scenic flight right over the top. Visit devils pool, go white water rafting or just simply enjoy the spectacular views. Devil’s Pool is a naturally formed rock pool perched on the edge of Victoria Falls. During the dry season if you are brave enough it is safe to swim in the pool and peer over the edge at the 300m drop below. It is an incredibly different and exhilarating viewpoint of this natural wonder. You will need to be fairly confident in the water, as getting there is an adventure in itself. After a boat ride to Livingstone Island next is a scramble over rooks and a swim across the Zambezi River. A must do for any thrill seekers. Cape Town is one of the most popular destinations in South Africa winning the ‘best cities’ category in the Telegraph Travel Awards 2013. Take a trip on a cable car to the top of Table Mountain. At over 1000 metres above the city the views are spectacular. Visit Robben Island, where Nelson Mandela was imprisoned for 27 years, take a day trip to the Cape Winelands, and quaff wine in a stunning location. Catch some rays on a beautiful beach or go to Boulders Beach for some penguin watching. Go whale watching and dine in Michelin stared restaurants. The list of things to do in this beautiful city is endless; Cape Town simply has it all. Further reading: Look no further than the top 10 things to do in Cape Town guide to find out if Robben Island, wine tours and sky diving make the list. This has got to be the ultimate trip to do while in South Africa. With an abundance of national parks to choose from you won’t find a better place to spot the big five (lion, elephant, buffalo, leopard and rhinoceros). Watch out for zebra along the park roadsides and warthogs gathering near watering holes. With over 19,000 square kilometres of bush, Kruger National Park is not only a haven for safari goers but it also caters for all sorts of other activities. There are walking and mountain biking trails, along with camping areas and lodges to stay in. The park also offers sunset and night safaris to look out for some nocturnal animal action.